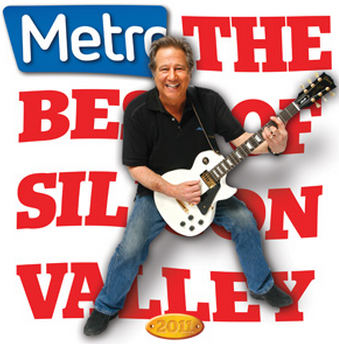 A quick mention that Metro's Best of Silicon Valley 2011 is available right over here. A lot of my favorites made the cut, such as The Usuals, Andy's Pet Shop, Pho 69, and Anno Domini. Definitely worth a look. Andys Pet Shop? Went there door the first time recently and could stay more than 45 seconds. Seriously, that place is a dirty, big ole mess. Gross. Pho 69 is a BIG disappointment. pho 69 is great and all when they have chicken. how can a pho place run out of chicken? seriously?